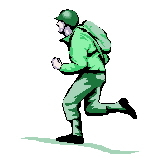 SSgt. 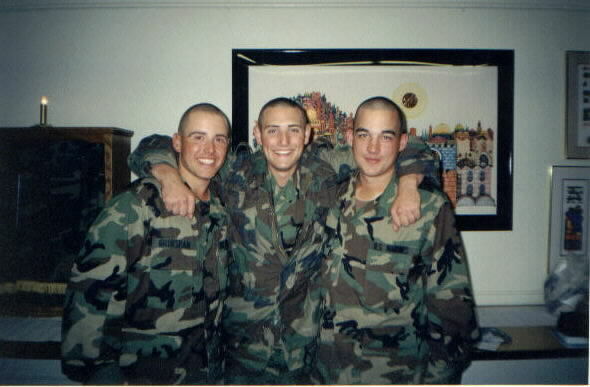 Christopher Burton (USMC) are also pictured. Are you, or do you know, a family member of Mark Gross, an infantry medic who was killed in Vietnam in 1970? If so, we would like to hear from you! Please click here for more information. 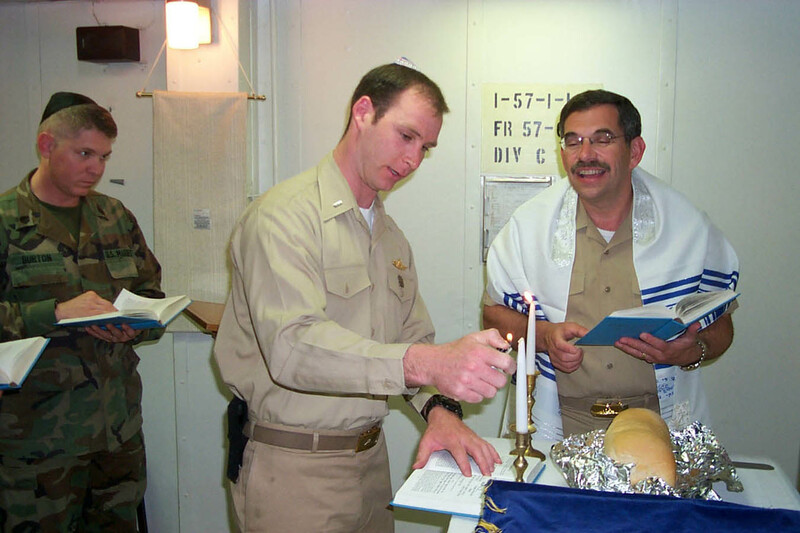 Got any interesting Chanukah, Purim, or Passover stories from your military service? Have your stories published in an upcoming newspaper article! Click here for more information. Show Jewish soldiers stationed overseas that you care: send them cards and letters! Click here for more information on how you can help. We always welcome submissions from our visitors! If you have a story or bio about a Jewish military hero you'd like the world to see, please send it to us. You will, of course, be credited, and, if you so desire, we will include a link to your e-mail address. help him get the Medal of Honor, click here! 1. To educate the Jewish community about the important contributions that Jewish men and women have made in the U.S. Navy and to provide them with information about Jewish sailors. 2. To combat misinformation put forth by anti-Semites on the World Wide Web, who claim that American Jews have not served their country loyally. 3. To show that American Jews do, indeed, constitute an integral part of the U.S. Navy. Interested in advertising on JewishSailors.com? Please contact our advertising department for more information! Profiles of Jewish Sailors who have received medals for gallantry or who have served in special units or jobs. Also includes distinguished war veterans. Famous Jewish Sailors : Find out about Jewish Sailors who became national celebrities. Online War Memorial : A list of Jewish Sailors who were killed in wars or campaigns throughout American history. It includes: name, rank, hometown, DOB, age at death, date of death, and the war or campaign in which he was killed. Articles about Jewish Sailors and the issues concerning them. Did You Know? : Little known facts concerning Jewish Sailors. Links : Various Navy- and Jewish-oriented links on the World Wide Web. Our Guestbook : Check out what others have said about our site and add your own comments. E-mail Us!! : E-mail the creators of JewishSailors.com and tell us what you think about our site. JEWISHMARINES.COM - A website all about the Jews in the U.S. Marine Corps! GI JEW! - A website all about Jews in the U.S. Army! Interested in Israel? Visit StateofIsrael.com for more information about Israel! Interested in advertising on JewishSailors.com? Please contact our advertising department for more information! *From the creators of JewishMarines.com and GIJew.com. Please note: we are constantly updating this site. Our goal is to make JewishSailors.com a comprehensive source of information about Jewish Sailors, just as JewishMarines.com and GIJew.com are now complete resources for anything relating to Jewish Marines and GIs. Any information listed on the site does not necessarily reflect the opinions or personal knowledge of JewishSailors.com.